Well you know that they say â€“ first impressions are everything. Let’s hope that is the case for Autodesk’s upcoming release of Civil 3D 2008. Those of us in the Civil industry have for a number of years now been taunted by the design tool of the future â€“ Civil 3D. We got our first glimpse of Civil 3D with its 2004 preview release. Back then it was in no way a practical design tool, as it lacked in many key areas. While each release become more stable, and added additional functionality, overall Civil 3D has not dethroned Land Development Desktop as the primary design tool for a large number of firms. Anyone who has used previous releases of Civil 3D has likely experienced some horror story. Since deploying 2006 in our office we have hosted a few pilot projects in various departments. Overall each of these pilot projects have benefited from the migration to Civil 3D. Although successful that is not to say everything was smooth sailing. Corrupt drawings, especially in drawings containing parcels, hampered our residential department. Saving often truly became a necessity as corrupt drawings and crashes were somewhat common place. But that was Civil 3D 2006. In Civil 3D 2007 we were provided a much more stable product, and the service packs did nothing but make Civil 3D even better. 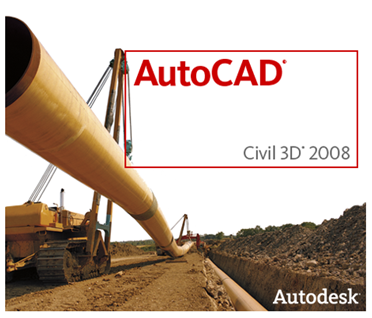 While 2007 saw many first-time Civil 3D users, it still did not convince the masses. But what’s that on the horizon â€“ Civil 3D 2008? I think it’s an undeniable fact that Civil 3D 2008 is by far the best release to date. But what exactly makes it the best? Personally I can’t help but look at the list of new features and not get excited. After all, many of the things missing in previous releases have been included in the new 2008 release. I can’t help but skip over a fair number of new features, as Civil 3D 2008 is truly packed with a ton of new features and enhancements. Performance â€“ From startup times to the processing of corridors, Civil 3D 2008 is simply faster and more efficient. While it’s hard to write a lot about such enhancements; performance is one area that I am always extrement appreciative of. After all none of us like to spend our day waiting on a computer. User Interface â€“ Users shouldn’t have to play Where’s Waldo when looking for commands in AutoCAD’s menus. Thankfully Autodesk agrees, and has put significant thought into reorganizing & enhancing menus to better fit the way we work. Workspaces â€“ Why have your workspace cluttered with a bunch of junk you don’t need. Traditionally we only use a select number of menus & commands when performing a certain design function. Likewise why have a bunch of design tools when you’re only interested in annotating your drawing? Menu Enhancements â€“ Intuition tells us to look to the menus at the top of the screen if we can’t find something â€“ right? We’ll not until now. Previously it was a question of when to right-click and when not to. And just think if Autodesk still made a Macintosh version of AutoCAD â€“ how would we survive with only one mouse button? Moving to C3D from LDT â€“ ok not really a feature, but definitely a good document from Autodesk answering lots of questions about how to get started with Civil 3D. Lines and Curves Menu â€“ If you’re like me you can’t imagine life without this menu. The specialized line & arc commands contained within it are absolutely invaluable to getting the job done. Be it an alignment or a property line, the Lines and Curve menu is there to make it happen quickly and easily. A pervious staple to LDT, the Lines and Curve menu is now a part of Civil 3D 2008. Points â€“ We can now graphically move, edit information for, and even list points. Elevate Blocks based on Attribute Value â€“ A pretty nifty command where we can now look at an attribute field, and elevate a block based on its value. After doing that we can even add it to a surface â€“ yes a block in a surface. Elevate text â€“ Another nifty new command. If you have a piece of text with a numerical value, say 100′, AutoCAD can automatically elevate it to have a Z-value of 100. Elevate Blocks to a Surface â€“ If you already have a surface you can project a block to a surface. Just thinking this may be a neat new way to quickly and easily set building pad elevations for residential neighborhoods. Profile Layout Enhancements â€“ We now have a command to convert AutoCAD lines and splines to profile objects. Thus if you prefer the old school way of drawing things â€“ well here you go! Alignment Layout Enhancements â€“ Say hello to two new curve types; Floating Reverse Curve with Spirals (From curve, radius, though point), and Floating Reverse Curve with Spirals (From curve, two points). Subassemblies â€“ Let’s just say Autodesk has given us a lot of new Lego pieces to play with. New subassemblies include: LotGrade, MedianConstantSlopeWithBarrier, OverlayWidenFromCurb, ShoulderWithSubbaseInterlaced, ShoulderWithSubbaseInterlaceAndDitch, and SimpleNoiseBarrier. Superelevation Methods â€“ Aiding us in our design is a new control called “maximum breakover”. Simply this is the maximum slope difference between the travelled lane and the shoulder on the high side of superelevation. Split Corridor Regions â€“ Yet another new feature which will allow us to take a single corridor region and split it into two regions based on a provided station. User Defined Parcel Properties â€“ Ever wish you could define more than just the lot number and such Civil 3D provides? Well now you can with user defined properties. Project Templates â€“ Not quite a LDT prototype, but similar in the way we can create projects with a predetermined folder structure. Data Shortcuts â€“ Nothing revolutionary, but convenient to say the least. A new Source Drawing column is now a part of the data shortcut dialog. Plan Production â€“ Remember Sheet Manager in LDT (not ACAD’s Sheet Set Manager). It could easily take days to configure it. Plan Production integrates into Sheet Set Manager allowing you to lay out your plan sheets in model space and create plan, profile, or plan/profile sheets automatically. As you can see from the lost above our friends at Autodesk have been working hard over the last year to make Civil 3D a viable design tool. Currently a large number of people are still using Land Development Desktop, waiting for the day they can begin using Civil 3D. Personally, my first impression of Civil 3D 2008 is that it could very likely be THE release the masses begin migrating to Civil 3D. After all invaluable features such as the Lines and Curve menu has been added to the package, performance enhancements have made it more stable, and countless time saving tools have been added once again. Working as a CAD Manager I can’t help but be excited at the possibilities Civil 3D begins opening up for us. 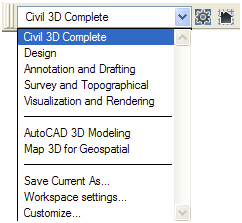 Only time will tell if my first impression of Civil 3D 2008 is correct, but after testing it for a number of months now I can’t see any reason for it not to continue dethroning its predecessor â€“ Land Development Desktop. faheem – Lee over at Hyperpics (www.hyperpics.com) keeps a full list of AutoCAD commands and system variables on his website. This is the most complete list I personally know about. Thanks for all the info. Do you have on any info on using Civil 3d in DOT projects. The company i work for does mainly DOT, I used LDT and Civil 3d 2006 at my previous job and thought it was alot easier than geopak which i am still struggling to learn. My employer is willing to use Civil 3d if we can convert the final dwg. to dgn. for submittal to the DOT agency. Any info would be helpful.